The name comes in part from the river Charente, which runs through the region and, as you could probably already guess, the Maritime bit refers to the fact that Charente-Maritime is right on the Atlantic. The maritime industry once made this department wealthy and charming and holidayers have long since flocked to the region both due to these man made attributes as well as its wealth of natural beauty. Charente-Maritime’s long line of sandy beaches are drenched by sun in the summer months, so it’s a very popular spot for a sunny break. The best places to stay in Charente-Maritime range from rural hideaways to grand old châteaux to beachfront hotels. 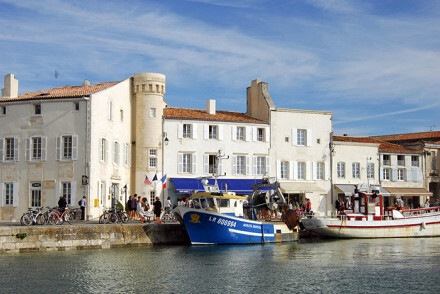 As well as tourism and the maritime industry, Charente-Maritime is known for its seafood, and especially its oysters. Oysters cultivated here are shipped all over Europe. 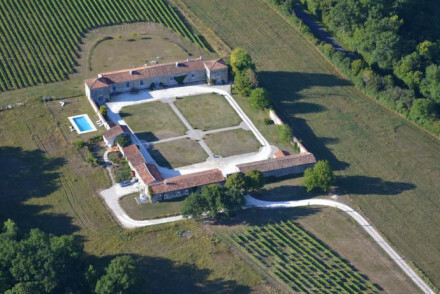 Charente-Maritime is also known for another rather luxurious good - cognac. Some of the prettiest spots in the region are La Rochelle, with its old medieval harbour and city walls; Rochefort, with its important military history; Royan, a lively seaside resort, and the pretty islands of Île d'Aix, Île de Ré and Île d'Oléron. If you're planning a visit to the region during the peak summer months, you'll need to book well ahead. The best places to stay in the Charente-Maritime get very busy during July and August. Rochefort's Musée de Commerce d'Autrefois is a fascinating place to spend an hour or two, shedding light on times gone by with thought-provoking exhibitions. Kids will love a trip to the 12th century Chateau Fort de Sain Jean d'Angle, especially with their educational displays and reenactments. Truly interactive history. Wander around the magnificent Chapelle Notre Dame de L'Espérance before enjoying an evening drink in La Rochelle's Porte de la Grosse-Horloge. Sample the region's famed produce, Cognac and oysters, both delicious and surprisingly light on the purse. Where To Stay - which town or island? La Rochelle, the department's capital, is a lovely coastal city full of half-timbered houses, plenty of lighthouses and arcaded walkways. The Île de Rè, located off France's west coast, is a great place to stay if you fancy a quiet retreat with plenty of sea views. Alternatively, you could choose somewhere in the Île d'Oléron - with its wonderful beaches - or on the car-free Île d'Aix. La Monnaie is a trendy art and spa hotel close to the beach. 17th century on the outside but inside you'll find modern art, sculptures and seriously chic rooms. 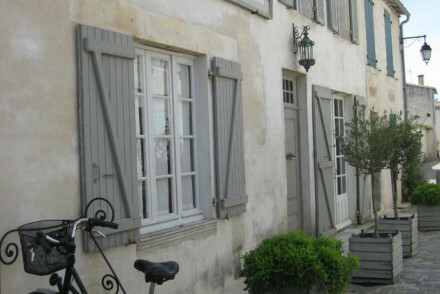 La Residence de France is a charming property in the heart of the old town. Smart interiors with a minimalist feel plus an outdoor pool and intimate piano bar. La Caussoliere in Saint Sornin, is a charmingly simple stone cottage, converted into a comfortable but rustic five-room B&B. One of the rooms sleeps four, they serve a hearty breakfast and the room rate starts from $50 per night, so this is a great value option for families waiting to explore the region. Also in St Martin de Re is the Clos St Martin, a stunning property with sophisticated interiors, two heated swimming pools and a Clarins spa. 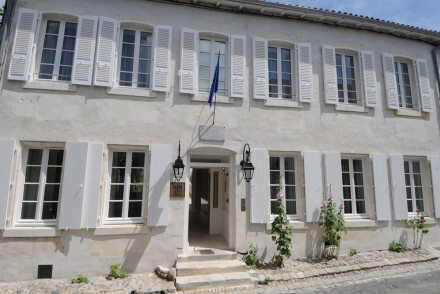 La Maison Douce is a beautiful hotel nestled down a side street in St Martin de Re. Rooms are French country style with roll top baths and private balconies.....romantic bliss! La Baronnie is a magnificent 18th-century manor house turned boutique hotel set amid lovely gardens. Sumptuous rooms boast parquet floors, antique furnishings and, of course, all the mod cons. Plus there's an atmospheric bar and heated pool. Hotel de Toiras enjoys a stunning location in the port of St Martin de Re, and the beautiful rooms benefit from wonderful sea views. 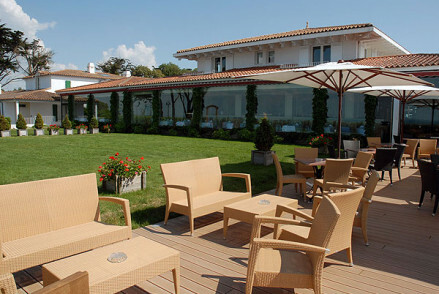 In addition, there's a heated outdoor pool and a fantastic restaurant. 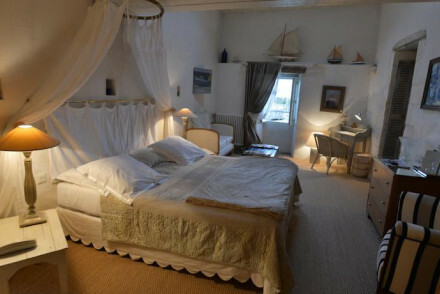 Le Corps de Garde is a lovely B&B situated by the harbour. Offering spacious rustic rooms with wonderful views of the marina, this is a truly romantic getaway. Les Blois Flottais is a stylish spot just moments from the beach. With two swimming pools, multi-person suites and massage treatments available, it's an ideal family retreat. Le Senechal is a laid-back and effortlessly chic hotel that represents excellent value for money on the Ile de Re. Come in low season and you'll find rooms from as little as €79 per night. Le Richelieu is a luxury property with Michelin-starred dining right on the beach on the Ile de Re. Plus there's a Thalassotherapy spa, indoor and outdoor pools and glorious views. 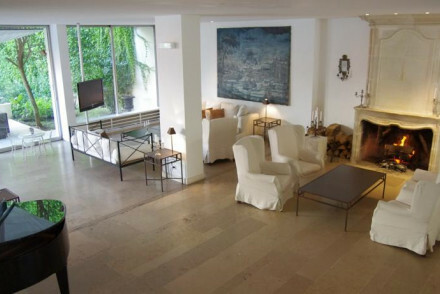 Villa Clarisse is also on the Ile de Re and whilst not technically on the beach, it's very close! Rooms are light and modern with a nautical feel and strategically placed antiques. A laid-back, sophisticated spot. Le Grand Large is a beach-side property on the Ile d'Oleron. Smart contemporary rooms, stunning views over the Bay of Biscay and superb food with plenty of delicious local seafood. 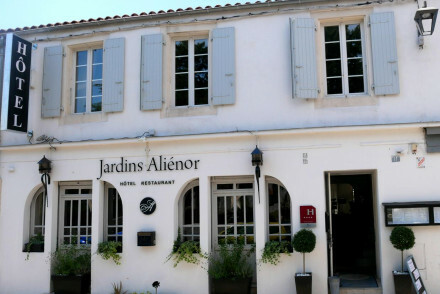 Les Jardin d'Alienor is an intimate 4* stay with chic accommodation and a delicious restaurant serving up local fare. What's more, the beach is just a ten-minute stroll away. Le Logis du Pere is not only great value, but it's good for families too with flexible accommodation including rooms which sleep up to four. It's a rural spot but there's great on-site facilities including an outdoor pool and restaurant. 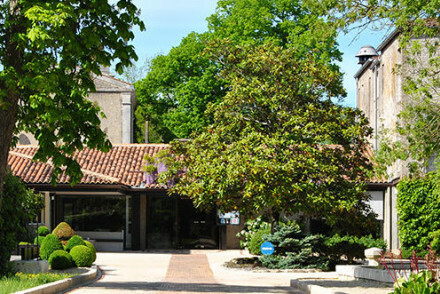 Relais du Bois St Georges in Saintes is a small, elegant hotel with 30 unique rooms featuring exposed beams and contemporary furniture. There’s also an indoor pool and spa treatments available, and the restaurant is excellent. 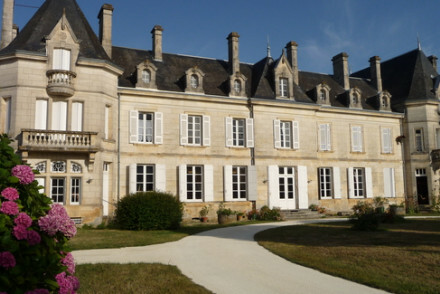 You’re also surrounded by rose gardens and seven hectares of parkland. 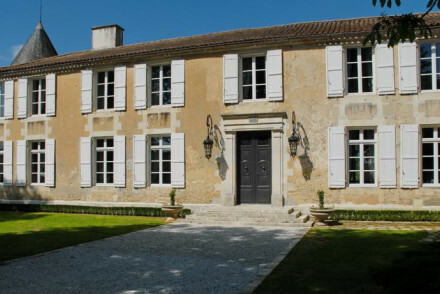 Chateau des Salles is set amid pretty countryside filled with Romanesque churches and vineyards. Elegant rooms are traditional in style with modern bathrooms, and you're not a million miles from the coast. Three-room Logis de Bresdon is a charming B&B with chic white accommodation, beautiful gardens, a pool and hot tub. A quintessentially French retreat. Located on a winery, Logis de L'Astree is a rustic getaway with cool rooms, a cosy lounge, and wonderfully scenic surrounding countryside. Plus, there's even a pool for guests to enjoy. Jardins du Lac, as the name suggests, is located right on a lakeside. Their minimalist rooms offer superb views and there's a lovely botanical garden that supplies their restaurant. Overall, a great stay. 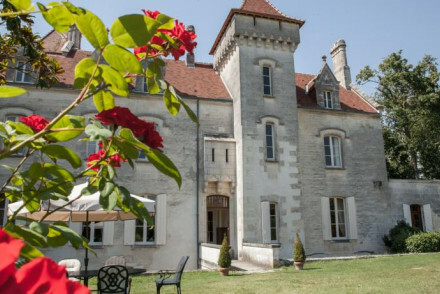 Set in a gorgeous property, the 5-room Chateau de la Tillade features charming traditional accommodation. Guests can enjoy breakfast each morning in the smart lounge. 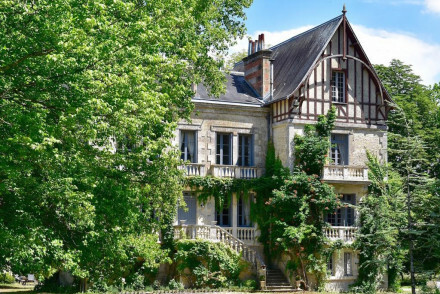 Chateau de Mirambeau is a simply stunning getaway. The castle itself oozes grandeur, whilst the accommodation is typically resplendent - think opulent furnishings, four-posters, and a top-of-the-range restaurant. An ideal romantic break. The weather's nicest in the summer months, with the average temperature around 20-25°C in July and August. You're best off flying into La Rochelle Airport if you're coming from abroad. If you think you'll need a car then check out the selection available with our online partner Rentalcars. Browse through our list of all the best places to stay in Charente-Maritime. Widen the net to include our recommendations in Charente. A charmingly simple B&B in a stone cottage. Just two bedrooms and a self catering cottage, with terracotta tiled floors, white washed walls, and rustic furnishings. Lovely gardens with pool and hearty breakfasts. Plenty to explore in the area and excellent value. Family friendly too. Local exploring - Sand dunes, forests, waters, historic Saintonge area, Gironde Estuary coastline, all along 1500 km of well-lit foot paths. Families - One of the rooms sleeps 4 people. Kayaking - Mer des Pertuis, Côte de Beauté, Gironde, Charente, Marais Poitevin. Local markets - Visit the local antiques market in La Flotte. A family run boutique hotel and harbour-side bistro. Gorge on exemplary regional cuisine on the terrace overlooking the sea. The simply designed contemporary rooms will ensure a good nights sleep. The ideal spot to completely unwind and enjoy gentle strolls along the beach. Foodies - Be sure to sample some of the exquisite regional cuisine in the hotel's bistro. Total relaxation - Unwind at this harbour side spot over a glass of wine and local seafood. Sights nearby - Take a fascinating tour of Fort Boyard located between Aix and Oléron islands. Great walks - Enjoy stunning coastal walks and spot oysters being harvested along the way. A beautiful estate surrounded by lush greenery offering spacious accommodation. Charming country style rooms with period furniture, large mirrors and chandeliers combined with modern luxury. The restaurant serves local dishes accompanied with fine wines from the on site cellar. A perfect escape. Families - There are quadruple rooms available for families, plus the expansive gardens and grounds leave plenty of room to run around. Total relaxation - The hotel offers a hot tub, sauna, spa and a heated pool on site as well as fine dining and an extensive cellar. Great walks - Choose from one of the many long walks in the surrounding area, ask at the front desk for details. 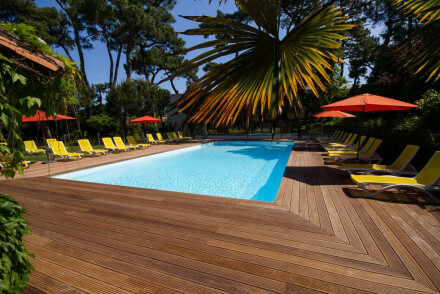 A stylish contemporary hotel in Le Bois-Plage-en-Ré, just a short stroll from the beach. The hotel offers a serene atmosphere with fashionable, comfortable rooms, two swimming pools and massage treatments. 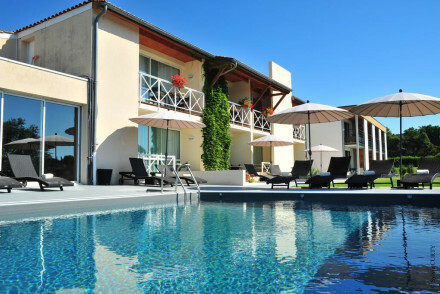 With multi-person suites, it's perfect for a family holiday to Ile de Re. Beach Life - Nestled between the coast and the village, the hotel sits just minutes from a beautiful blue-flag beach. Local exploring - Hire a bicycle make the most of the extensive cycle tracks to explore the island on two wheels. Sights nearby - Anyone with an interest in the history of the island should explore the nearby Vauban Fortifications. Great walks - Wake up early and enjoy the beautiful walks along the beach five minutes from the hotel. This stately seaside mansion is ideally located, close to the stunning Nauzan beach. The rooms have a contemporary classic feel and all are light and individually styled. With an impressive outdoor pool and sumptuous continental breakfasts, this hotel is a beach house to brag about. A delightful country house B&B with an excellent table d'hotes. 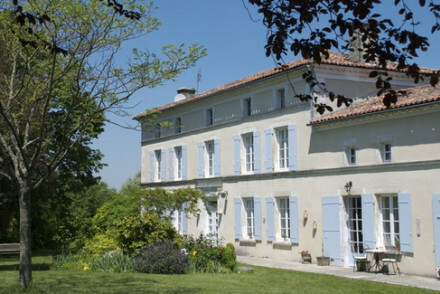 Chic white rooms and a separate house (sleeps 4) with french windows onto the lawn. Beautiful gardens, pool, and hot tub. A laid back and charming escape to the countryside. Adults only. Country Escape - The perfect place to relax in the countryside. Sights nearby - Cognac Blues Passion Festival first week of July. A rustic B&B located on a beautiful winery. The main building has history dating back to the 15th century. Bedrooms are cool with lofty ceilings and original stone features. There is a cosy lounge with authentic fireplace. Explore the nearby Coran Valley - bikes available at hotel. Local exploring - Saintes and Cognac are both within easy reach. A stunning lakeside property in Trizay offering light and airy rooms with minimalist design. Hugging the banks of the Lac du Bois Fleuri, the rooms come with balconies offering views of the lake. Ideal for nature lovers, there is a botanical garden which supplies the restaurant. Country Escape - Off the beaten track, at the banks of a lake with a botanical garden that supplies the needs of the restaurant. Sights nearby - Abbaye aux Dames, a beautiful archaic priory, is only 17 miles away. Swimming Pool - Heated outdoor swimming pool. 4-star boutique hotel in the village of Chateau d'Oleron, offering chic and contemporary rooms adorned with works by local artists. The restaurant serves fresh locally-sourced food and a tasting lounge allows guests to sample spirits and unwind with a game of chess. Near the beach and local market. Beach Life - The beach is only 10 minutes away. Local markets - The local market is a stone's throw away. B&B in pretty chateau. Interiors are unique, with princess beds, freestanding claw baths, small art works and parquet floors. Breakfast is served in traditional dining room. Very friendly hosts; good value. An art and spa hotel close to the beach. Modern art and sculptures throughout, boutique furnishings include chandeliers, leather chairs, all within a 17th century ornate building. Large rooms and suites with all the mod cons, top of the range spa, and excellent business facilities. Artworks - Modern art in every room and public space. Meeting Room - State of the art meeting room. Beautiful hotel nestled down a little street in Saint-Martin-de-Re. French country-style rooms with ambient lighting and white linens are filled with light from their private balconies. Roll-top baths complete the decor. There is a fragrant rose lined courtyard garden where breakfast is served. Sights nearby - The Vauban Fortifications are within ten minutes walk. Local markets - Explore the markets of Saint-Martin-de-Re. 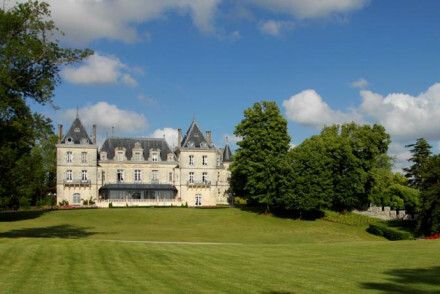 A beautiful chateau in a tranquil setting, surrounded by lush greenery and bamboo trees. Bright and elegant rooms dressed in white, featuring colonial furniture and lovely views of the garden. The restaurant serves traditional cuisine and local wines and a sumptuous breakfast is served everyday. Total relaxation - A great place to escape the city madness, offering massages in the garden, fine wines and excellent cuisine. Local exploring - In a great location with lots to explore around the area from Romanesque churches to Cognac vinyards. Writing a novel - Writing desks are provided in rooms, make the most of the quiet atmosphere and beautiful surrounds. Sights nearby - Culture vultures must visit the Romanesque churches in Poitou-Charentes region. 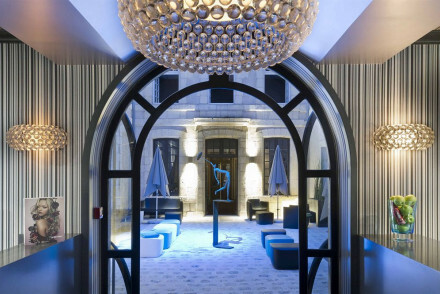 A smart, stylish hotel in an 18th century setting in the heart of La Rochelle. Rooms feature modern yet minimalist decor with cool pastel palettes. A relaxing outdoor pool and intimate piano bar create an ambience of serenity in the vibrant port city. Plus there is an indulgent buffet breakfast. Local markets - Browse the local markets surrouding the historic port of La Rochelle. Fishing - Take a sea fishing trip out from La Rochelle harbour. Sights nearby - Ten minutes from the La Rochelle Aquarium. 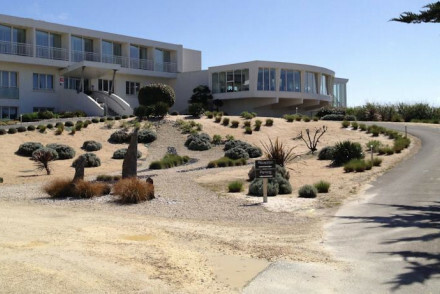 Le Corbusier inspired hotel on the Island of Oleron, situated right by the beach. Sleekly decorated rooms offer stunning panoramic views of the Bay of Biscay. Leather furniture and neutral tones contrasting with vibrant geometric shapes give a freshness to match the Atlantic coast and cuisine. A enchanting Renaissance-style castle, surrounded by canals, rivers, salt marshes. The lavish rooms are individually decorated with opulent furnishings and glorious wall papers. Fitted with a deluxe spa and a sparkling restaurant, it's perfect for a relaxing weekend away. Five-star quality. Country Escape - A pampering rural getaway nestled on a beautiful parkland estate, surrounded by canals, rivers, salt marshes, and vineyards. Total relaxation - Indulge yourself at this regal retreat, with a deluxe spa, two pools, spoiling service and excellent cuisine. Great walks - Make the most of the excellent walking routes through the surrounding parklands and vineyards. Sights nearby - Any guest with an interest in history must visit the nearby St Pierre Cathedral of Saintes. 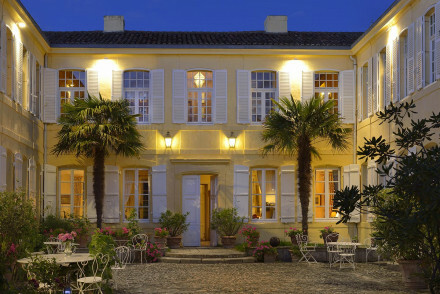 The elegant Relais du Bois St Georges is set in a gorgeous garden. Unique rooms with contemporary furniture, exposed beam ceilings and lovely bathrooms. Indoor pool, garden, terrace and piano lounge. Excellent dining with locally sourced produce. Quiet, grown up and a little different! Foodies - Enjoy superb meals in a lovely setting at their excellent restaurant! Spa - Heated pool, jacuzzi, sauna, tea corner. A charming 19th-century mansion set in a leafy parkland. The elegant suites feature hardwood floors, french windows, antiques and balconies. The living room boasts a marble fireplace, and there is also an evening restaurant, an outdoor pool, and a scenic lake and river. A peaceful retreat. Stunning location at the port of Saint Martin on the beautiful island of Ré. The immaculate, elegant rooms are a wonderfully peaceful environment with spectacular views of the ocean. The luxury continues with the hotel's heated outdoor pool, fantastic restaurant, and in room massages & treatments. Sights nearby - Le Phare des Baleines, the most amazing panorama of the Ile de Ré. L'Abbaye des Chateliers, 12th century abbey. Back to Nature - A natural bird reserve, La Maison du Fier is 14 km away. 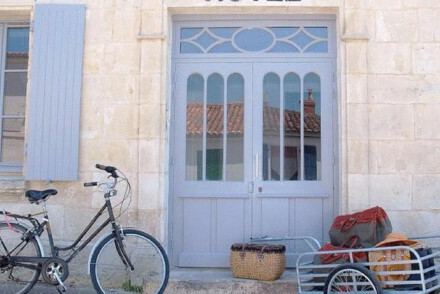 Le Corps de Garde is a charming B&B lying on the edge of Saint-Martin-de-Ré harbour. The rooms are spacious and elegant, with many commanding views out over the marina. After a day on the beach, enjoy the range of relaxation therapies on offer at the guesthouse. Perfect for a romantic escape. Local exploring - A characterful spot for exploring the history and culture of Ile de Re, as well as her beaches! Local markets - Explore the bustling markets of Saint-Martin-de-Ré and collect some regional treats to bring home with you. Sights nearby - History buffs should head off to explore the nearby Vauban Fortifications. Sailing - A great stopping point for a sailing trip around Ile de Re. This hotel offers guests the chance to totally relax. Beautiful bedrooms are designed with harmonious tones, whitened furniture and oak flooring. Two heated swimming pools and the landscaped garden is the picture-perfect spot to unwind in. A range of treatments are available in the Clarins spa. Sailing - Yachts and catamaran sailing. Pretty country house close to the beach. Light, modern rooms have wooden floors, cream and nautical colourings with French antiques dotted about. Outdoor pool, gardens and spa treatments. Excellent American breakfast buffets, served outside if possible. Chic and laid back, ideal for a weekend. A large sophisticated hotel with breathtaking views over the ocean. The rooms are bright and elegant with sea or garden views, most with their own terrace. It boasts its own pool, thalassotherapy spa and Michelin-starred restaurant. The whole place oozes quality and relaxation. Spa - A thalassotherapy spa: from the Greek thalassa (the sea), uses sea elements for beauty and well-being.